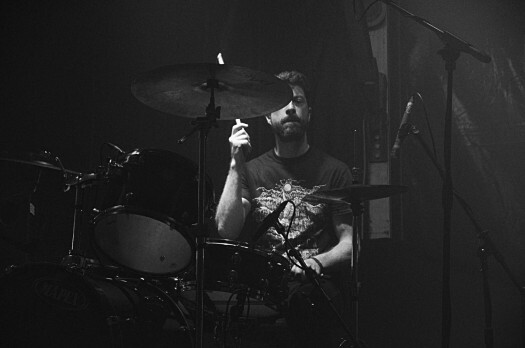 By Justin C. I've been digging Usnea since they're self-titled debut, but when prepping to write the review for their newest, Portals into Futility, I started to notice how often they've gotten tagged with as funeral doom. 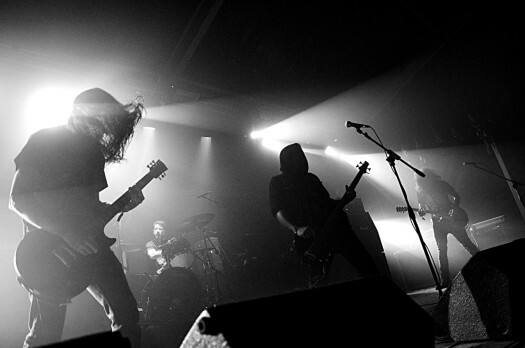 I've been digging Usnea since they're self-titled debut, but when prepping to write the review for their newest, Portals into Futility, I started to notice how often they've gotten tagged as funeral doom. It's not 100% off the mark--the band does their fair share of slow and low--but it's also a bit of a disservice. I know a lot of people don't have the taste for funeral doom, and I wonder if that genre tag hasn't turned some people off from a pretty unique band. Encylopaedia Metallum currently lists them as "Blackened Funeral Doom Metal," which is a bit better (although that phrase desperately needs some punctuation). Adding "blackened" helps, but it still misses a lot of good parts, like the sludginess, the churn, the atmosphere, and the melodicism. 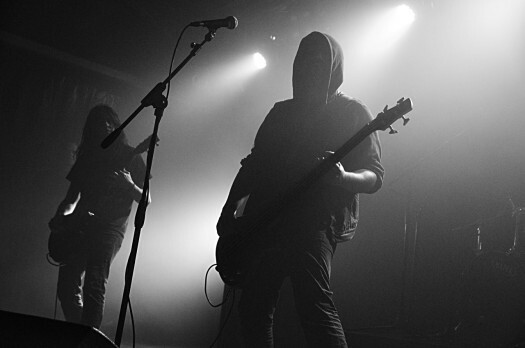 Funeral doom works to extract as much feeling as possible out of a minimalist framework, but Usnea has so many layers going on. If you're familiar with the band's last album, Random Cosmic Violence, you'll have a good feel of what to expect. I'd say Portals into Futility is more of a refinement than a leap forward, but there's nothing wrong with that. The blackened shrieks over the doomy atmosphere are still my favorite ear-tickling combo from this band. The blackened vocals remind me a bit of Charlie Fell during his Lord Mantis days, and those are some of my favorite blackened vocals, period. They both just scratch every itch I have. 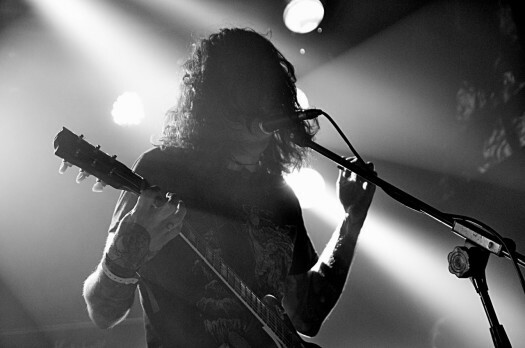 With Usnea, they're also paired with some low death growls and even the occasional chanting. 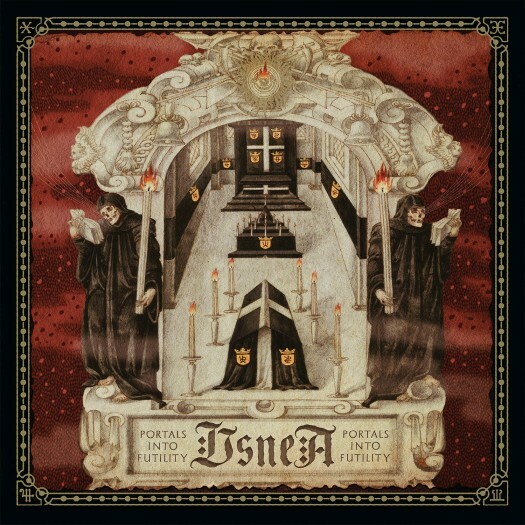 I think one of the best things Usnea did on this album was to split it into five songs instead of four. That sounds a little weird, but let me explain: They've been eerily consistent with album length--55, 58, and 56 minutes, in that order--but breaking four songs into five has given them better control over the ebb and flow of their music. "Lathe of Heaven" is, by long-form doom standards, a tasty little slice at just over 9 minutes, but the push and pull is done perfectly. A contemplative opening builds slowly into a more menacing churn, almost a slow thrash, accompanied by those low growls. Intensity builds, the blackened howls kick in, and then the song pulls back again. And everybody's contributing something here. You've heard of a walking bass line in jazz? The later part of "Lathe" has what I'd call a "menacing bass line." Similar idea to a walking bass line, but more evil, and completely hypnotizing. At this point, you might say, "Justin, you're an idiot. I see that 19-minute-long song at the end. You’ve tried to trick us." You're right (about the song length and possibly about me being an idiot), but the band's restraint earlier in the album is what makes "A Crown of Desolation" possible as a massive album closer. You've got chanting, strangled screams, ethereal bass and guitar, and even a gnarly, blues-y riff thrown in, and it all works. The band has refined their songwriting to the point where they can let all these disparate elements breathe but still combine them into a coherent song, and they haven’t worn you out with a bunch of 15-minute or more songs beforehand, so you can still appreciate what they’ve done. I'll be honest: At first, I thought Portals was a bit too much of a retread of Random Cosmic Violence, but the more I listened, the more I found that I liked. If any of the multitude of genre tags that's been applied to them appeal to you, you owe it to yourself to give this one a fair shake.